Michelle’s last article stirred up a great conversation regarding self employment. 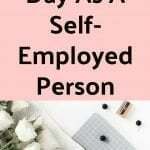 As I was ready to leave a comment to chime in on the discussion, I realized that a simple comment wouldn’t do justice to explain my thoughts on self employment. I’m a contributor for an entrepreneurial website called Under30CEO, and I frequently post topics regarding personal finance. I’d like to think I had my fair share of business ventures stemming from my early child hood. When I was in 2nd grade, I went around my neighborhood selling my personal unused toys. I still remember exactly how much I made, a whopping $0.50! Not bad for a second grader right? In college, I took the free time I had to start a pressure washing company. This was my first “real” venture out in the business world. I had some money saved up from graduation gifts from high school, and I used the money to buy a brand new pressure washer along with supplies. I went the whole nine yards: printed fliers, distributed, and went door to door in my neighborhood trying to get homeowners to hire me. In the end, I broke even and ended up with a free pressure washer which I still use till this day. When I graduated college, I went straight into the mortgage business. A lot of my college friends asked me why I wanted to go into a career that didn’t necessarily require a degree. My answer was simple: I was passionate about the real estate industry and I wanted to do something I loved. While I was in this industry, I stumbled upon clients who desperately needed help with their credit card debts, and that’s why I started my venture with SpringCoin. Throughout my entrepreneurial career, I’ve learned to pick up key things about living as an entrepreneur. It’s a road less traveled, and it’s definitely not for the weak-hearted. 1. Self employment does NOT equal freedom. It’s quite the opposite actually. 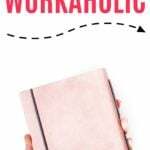 Many of us might have false impressions that being self employed means you can do whatever you want. 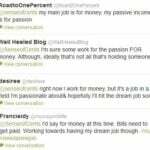 If this is your only reason for wanting to be self employed, I’d think twice about it. Our judgment is clouded when we see successful entrepreneurs who are living the dream, but trust me, they definitely earned this luxury. Your friends will be enjoying their weekends relaxing, having a BBQ, and taking short weekend getaways. As for you, you will constantly be working on your business and thinking of ways to improve it. 2. Setting your own hours doesn’t mean 9-5. If you decide to be your own boss, you should lead by example. You should be the first one in the office and the last one out. 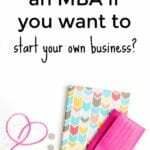 Being self employed requires you to be fully committed to your business. As Michelle stated in her recent post, it requires a lot of self discipline since you have no one telling you what to do. 3. Be prepared for the worst. I can’t tell you how many times I felt like throwing in the towel. We all have the grandiose vision of how our business is going to operate, but I guarantee you that nothing ever turns out the way you want it to be. You will face challenges and you will feel defeated. If you ask any of the successful entrepreneurs, they will tell you that they have failed countless number of times. 4. Contemplate a business partner. Studies show that having a business partner increases your chance of success. A business partner will be there to stop you from making mistakes and help you solve problems. However, choosing the right business partner can be tough. They must share the same vision, value and have the entrepreneurial spirit that you have. 5. Be prepared to live frugal, more than ever expected. Being self employed means you might have to give up some of life’s luxury. Since you’re not receiving a steady income, there could be months where you’re bringing in very little income. It’s important to keep a close eye on your budget until your business is off the ground. 6. Business credit cards might not be such a good idea. I like to think of business credit cards as personal cards in disguise. In order to get a business credit card, most banks require your business to be established for at least two years. In order to get approved, most banks will make you personally guarantee this debt. The worst part about it is that it won’t show up on your credit report even though you’ve been making timely payments, but it will only show up if you’ve made a late payment. The media has skewed our perception on what it really means to be self-employed. The cold hard truth is that most business will fail within the last two years. However, if you have the guts, persistence, and burning drive to be successful, the rewards at the end will be worthwhile. I hope you enjoyed this guest post!